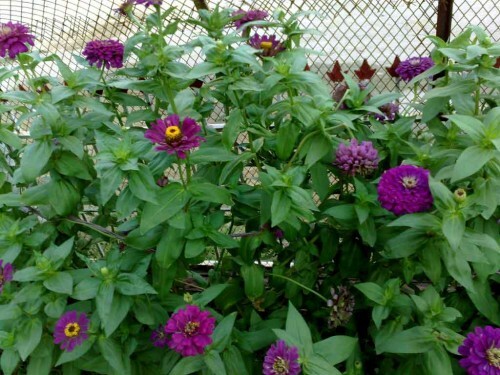 Yoga Zinnia mix-(Zinnia elegans)-This is a 3 foot tall Professional cutflower. The tall non-branching stems bear good size double flowers perfect for bouquets. Blooms in Crimson, mix, orange, purple, rose, salmon, scarlet, white and yellow. Grow in full sun and water regularly. This annual blooms in mid-summer through fall.